Over the past several years, a variety of supplements have become available for improving memory and cognition and support brain health. You may have heard of this technology and wondered if it actually works. Information about the best quality supplements, including uses and benefits, dosage & side effects can be found in the comprehensive product reviews at Brain Enhancement Advisor. This ingredient is used in supplements for brain enhancement in order to improve memory and cognitive function. Initially, a molecule from bovine brain tissue was used for supplements. However, concern about mad cow disease resulted in changes and now the nutrient is derived from cabbage and soybeans. Studies in rats have shown similar results from animal and plant based sources, but clinical studies in humans are needed to verify the claim for people. People ranging from younger individuals wanting to improve mental energy to middle age and elderly people concerned about a decline in memory are taking supplements that contain this ingredient. In addition, these supplements are used in sports nutrition to improve performance for athletes in running, cycling, and weight training. These supplements offer a variety of memory and health benefits. 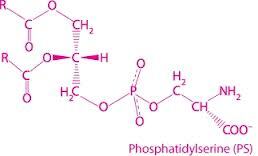 The Food and Drug Administration gave phosphatidylserine qualified health claim status. This means that product labels are allowed to state that it may reduce the risk of dementia and cognitive dysfunction in the elderly, but must include a disclaimer that the scientific research is very limited and preliminary and considered insufficient by the FDA. The daily recommended dosage for cognitive benefits in elderly people is 200 mg taken three times each day. There are potential side effects for all health supplements, including those containing this ingredient. The possible side effects may include stomach upset and insomnia. It is important to note that these side effects are most prevalent in people taking doses of 300 mg or more, which is another reason to stick with 200 mg. The product reviews at Brain Enhancement Advisor provide information about the ingredients used in the best rated supplements for cognitive enhancement and memory. You can read about products that contain this substance and other nootropic ingredients. We hope you will find our reviews, comparison chart, and blog articles useful in achieving your goal of finding a quality supplement for memory enhancement.